Tom Browne first rose to prominence through his early work with American jazz saxophonist Sonny Fortune and is acclaimed for his No.1 US Billboard R&B single ‘Funkin’ for Jamaica (N.Y.)’. The hit record is a floor-filler track par excellence. Released by Tom Browne in 1980, ‘Funkin’ regularly finds a place in every DJ set, every night, throughout the Western World! In 1979 Browne’s debut album ‘Browne Sugar’ charted at No. 6 on the Jazz Albums Chart and his follow-up album, ‘Love Approach’, featuring ‘Funkin’, hit the top slot in the Billboard charts in its first week. 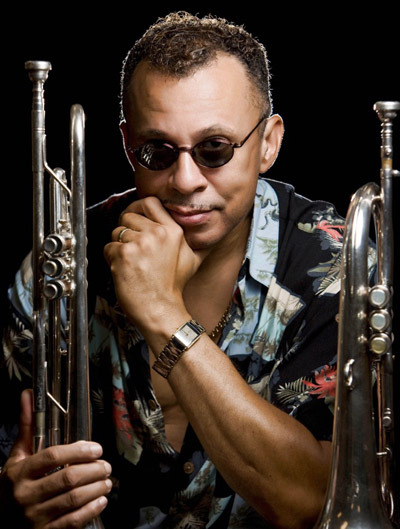 As well as his second single hit, ‘Thighs High (Grip Your Hips and Move)’, Browne released several more successful albums throughout the ‘80s, earning him a legacy as being one of the best smooth jazz trumpet artists of all time! His show at the Jam House is highly anticipated on 7th September, and will see the return of classic favourites alongside contemporary material.